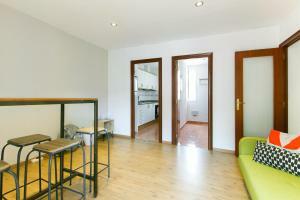 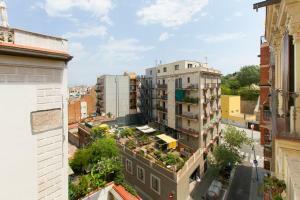 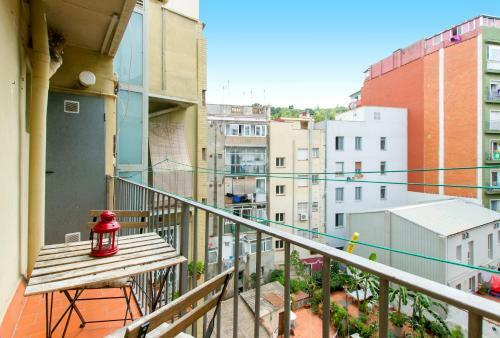 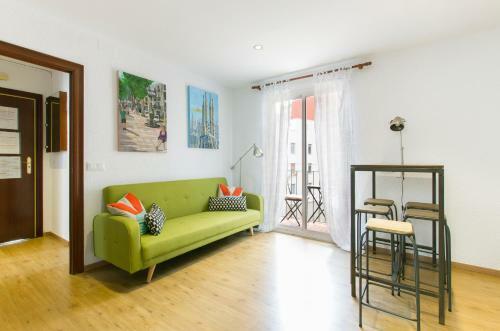 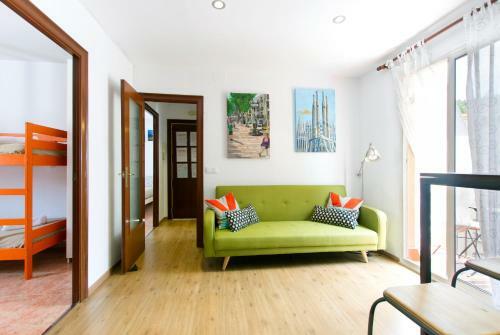 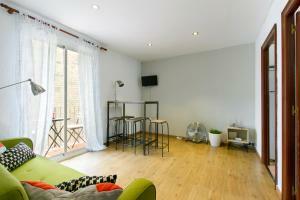 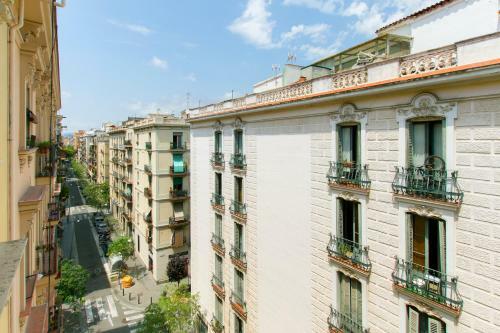 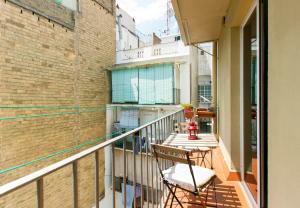 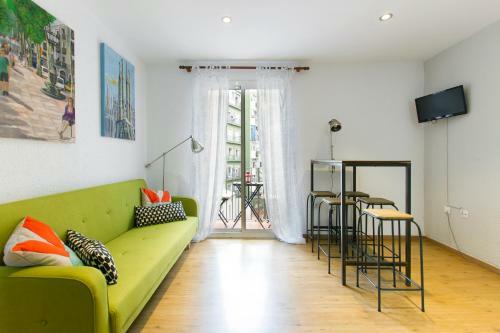 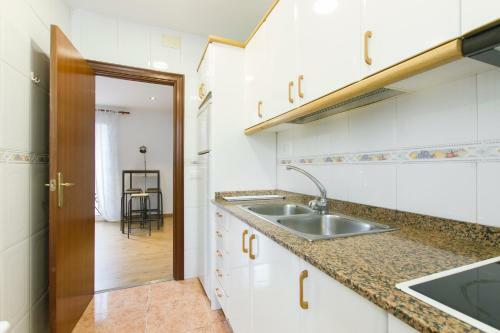 Apartment Montjuic enjoys a location in Barcelona, just 700 metres from Montjuïc and 1.3 km from Plaza Reial. Guests have a private balcony. The apartment consists of 2 separate bedrooms, 1 bathroom, and a seating area. 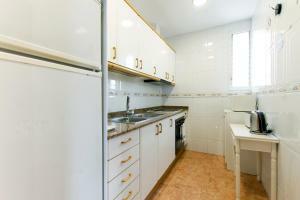 The kitchen is equipped with an oven, a microwave and a toaster, as well as coffee machine. 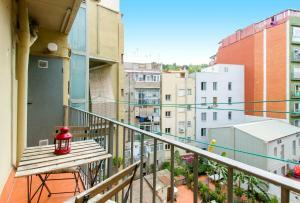 Palau Sant Jordi is an 18-minute walk from the apartment. 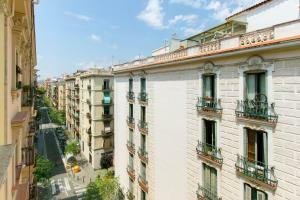 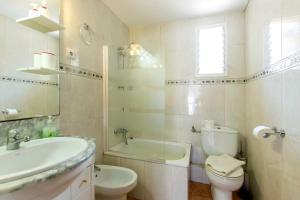 The nearest airport is Barcelona El Prat Airport, 11 km from Apartment Montjuic. 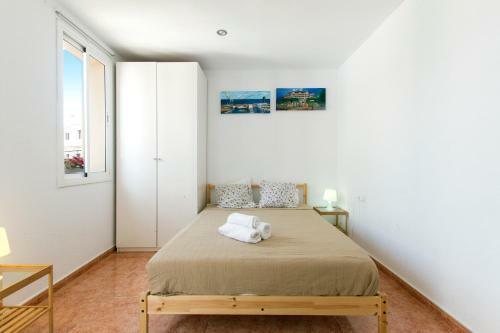 Rate: € 105.00 ... € 155.00; select dates below to get current rates.